We live down the street from where Todd Sanders crafts his vintage style neon sign designs Roadhouse Relics. He makes amazing creations with neon that I Ooh and Aah about every time I drive by his gallery. This made me think… this is an art form that the kids at Wee Warhols should learn about. 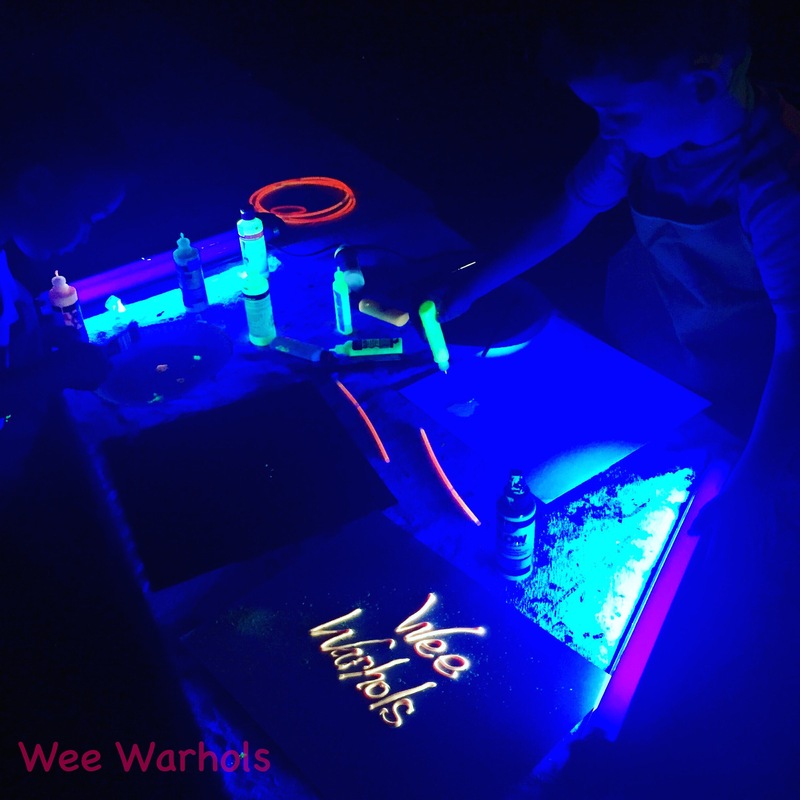 So we got out our backlights, glow paint and glow bracelets and we talked about neon. Neon signs are huge in Austin. They are very retro and go well with the whole Austin vibe. In this art form a section of the glass is heated until it is malleable, then it is bent into shape and aligned with a paper pattern of the images or lettering the final product will ultimately conform to. Here is where the real art of neon comes in, and it takes some artisans some years of practice to master. A tube bender corks off the hollow glass tube before heating and the artist holds a latex rubber blow hose at the other end, through which he gently presses a small amount of air to keep the tube diameter constant as it is bending. The trick of bending is to bend one small section –or bend– at a time, heating one part of the tubing so that it is soft without heating some other part of the tube as well, which would make the bend uncontrollable. A bend, once the glass is heated, must be brought to the pattern and fitted rapidly before the glass hardens again. It is difficult to reheat once it’s completely cooled without causing breakage. Since I am not a neon artist, I went straight to Wikipedia for this information and passed it along to my Wee Warhols. Neon tube signs are produced by using fire to bend glass tubing into shapes. Obviously we don’t have the skill or capability to do this craft at Wee Warhols, but I thought I could roughly teach the children the basic principles of this art. 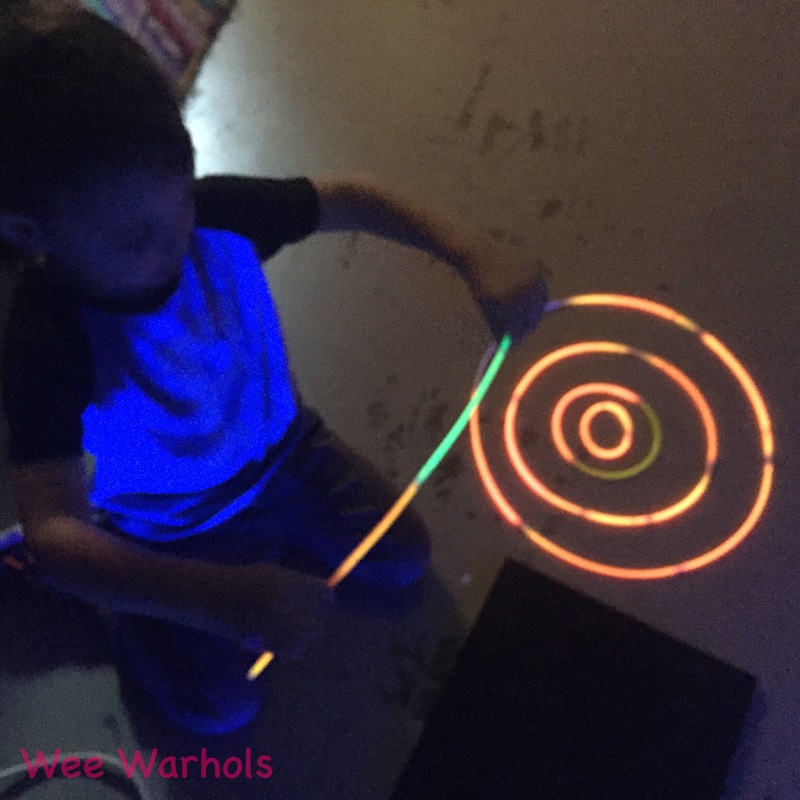 We gathered glow bracelets, black lights, and glow paint and we talked about it. The children were so enthralled. We tested out using the neon paint on black paper and on white. We made shapes with the bracelets. 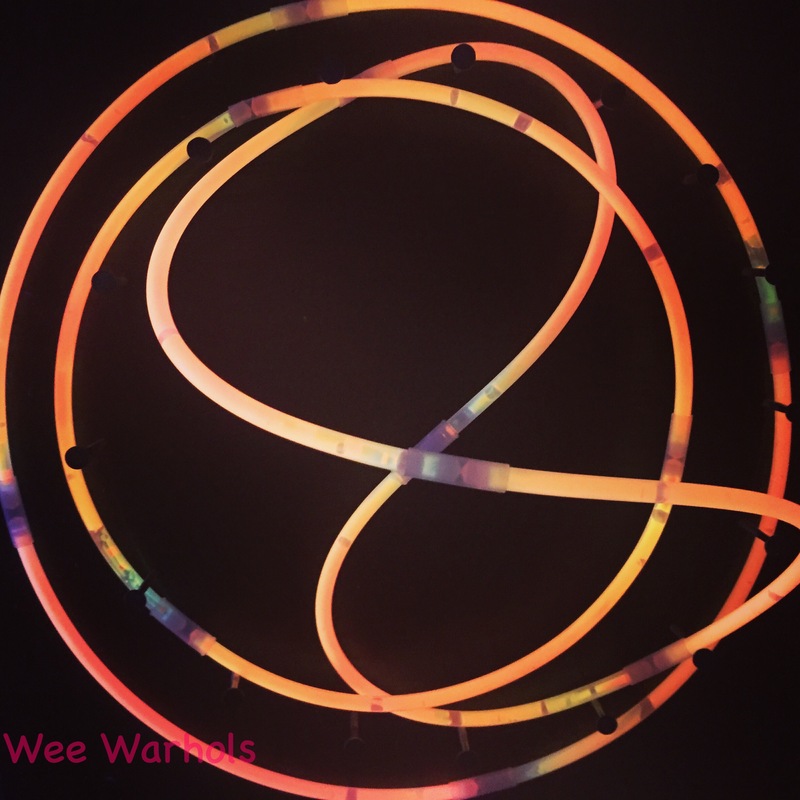 How exciting to explore a material that glowed, was bendable, that had a life of its own! They could have explored this for hours. 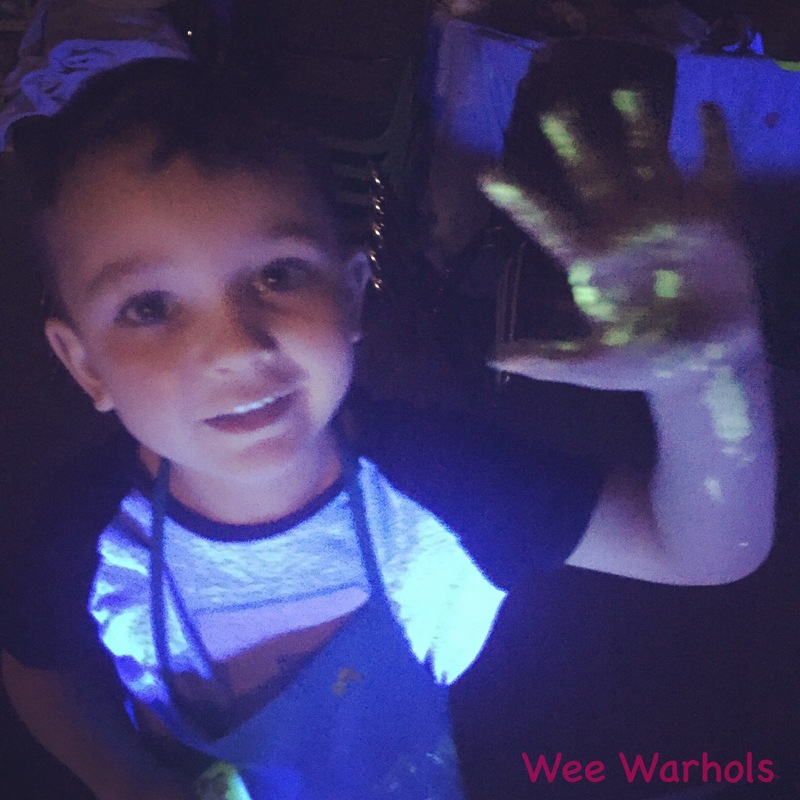 Now that we’ve explored this process I really want to bring the Wee Warhols to Todd’s studio to see what I have seen, and learn more about making neon art.